Hundreds of Mosul residents were killed by airstrikes in their homes following repeated instructions from Iraqi authorities not to leave, Amnesty International says. It adds coalition forces should have known they were likely to result in civilian deaths. 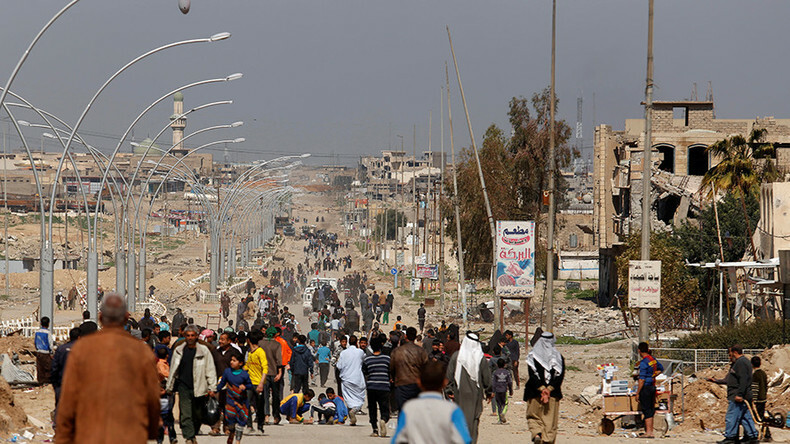 Citing numerous testimonies given by survivors and eyewitnesses, Amnesty said many people did not attempt to flee during the US-backed operation to retake the city from Islamic State (IS, formerly ISIS/ISIL) due to Iraqi authorities’ instructions. “Evidence gathered on the ground in east Mosul points to an alarming pattern of US-led coalition airstrikes which have destroyed whole houses with entire families inside,” said Donatella Rovera, a senior crisis response adviser who carried out field investigations in Mosul. 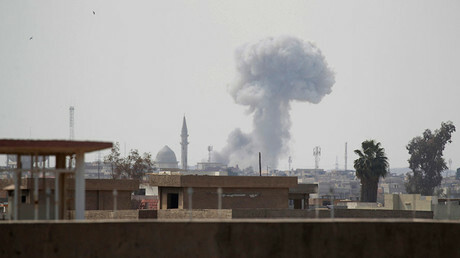 The fact that the Iraqi authorities repeatedly told civilians not to flee the war-ravaged city in the midst of fighting, “indicates that coalition forces should have known that these strikes were likely to result in a significant numbers of civilian casualties,” the organization said. "We are concerned about the pattern of civilian casualties which has been happening since the start of the operation [on October 17]" Rovera told RT. "Amnesty International is concerned that there is disproportionate use of force and this could constitute war crimes." Rovera noted to RT that the US coalition is failing to undertake "all possible and feasible precautions to minimize civilian casualties," especially when it comes to cases where civilian structures are destroyed. "The use of munitions and tactics at times are causing civilian casualties — notably in situations where ISIS fighters are on the roof of houses — large munitions have been used which have destroyed those houses and killed the civilians in the house," the senior investigator explained. Wa’ad Ahmad al-Tai, a resident of eastern Mosul, said these instructions were delivered via radio and through leaflets dropped from military aircraft. “The government … told us [to] stay in our homes and avoid displacement,” he added. Amnesty in their report has also noted IS resorts to using civilians as human shields, which amounts to a war crime. “However, the IS’s use of human shields does not absolve Iraqi and coalition forces from their obligation not to launch disproportionate attacks,” said Rovera. The statement comes as the US-led coalition faces allegations that one of their airstrikes on March 17 killed dozens of civilians. The US declared that its forces are not planning to change the way they conduct airstrikes despite the battle for Mosul entering more densely-populated areas in the western part of the city. UN Human Rights chief Zeid Ra'ad al-Hussein made a statement on Tuesday condemning the “massive loss of civilian lives in western Mosul,” where at least 307 people have been killed and 273 wounded in just over a month. © Autonomous Nonprofit Organization “TV-Novosti”, 2005–2017. All rights reserved.